These pretty silver crustaceans have captured the colour of Australia's oceans and wear it proudly for their shell. 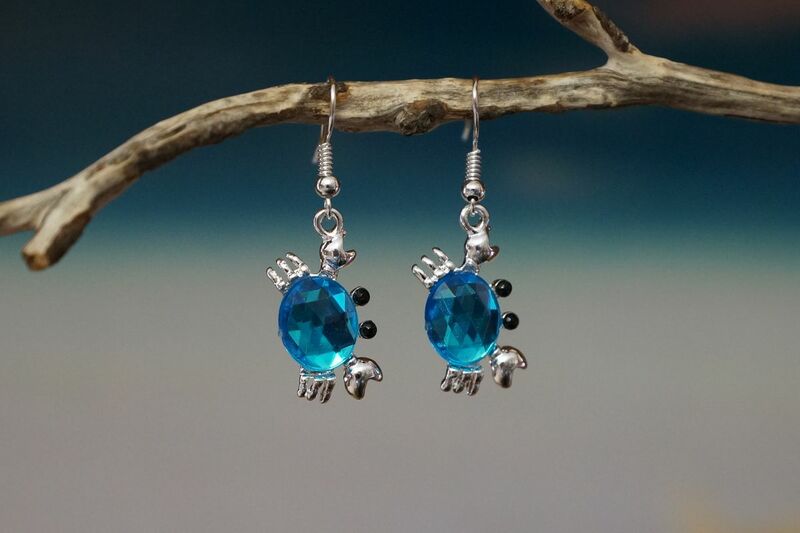 Wear your love of the ocean with these stunning silver and blue crab earrings. The beautiful crab charms are made from Tibetan silver and the hooks are sterling silver plated and made into earrings here in Australia. Australia has many different species of crustaceans but Christmas Island just off the northern coast of Australia is home to one of the worlds great migrations of the Red Crab that march across the island around November/December every year. It's such a sight that it has even caught the attention of Sir David Attenborough.